At the end of 2013, the City of Marseille (Mediteranean archeology Museum, the department for International and European relation of Marseille) and MEDiakitab association received historians, archeologists, authors and drawers to share and think about fertile connections to be created between fiction and history, imagination and heritage, drawing and archeology, comic books and multimedia. Speakers came from France, Lebanon, Egypt, Bosnia-Herzegovina. 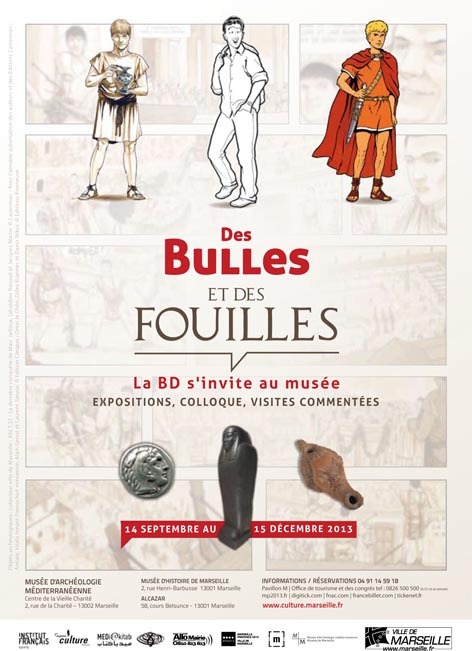 The exhibition “La BD s’invite au musée” (comic books invited in the museum) located with permanent collections in MAM of la Vieille Charité, received the public from September 15 to December 15, in partnership with Averroès Junior program to involve primary and secondary school young people. The exhibition continuation showed drawing boards of “Alix à Massalia” in Marseille history museum, and a selection of comic albums in Alcazar library. In this context, the City of Marseille and MEDiakitab association organized 2 days of public meetings, professional exchanges and album signatures with writers and drawers 22 an 23 November. Pierre Favier, preservation assistant in Marseille began the day analysing how fiction images in comics had been dealing with archeology. Through many illustrations, the evolution of archeology representations was highlighted. At first archaeology was used as a simple setting in which the hero is acting, and went with an educational message, like Jacobs. Gradually the settings had become a protagonist. For exemple, in Neandertal : “stone is the hero ! ” Then comics became more liberated from plausibility and dared to tell stories which are taking archaeology as a fictional excuse to change reality, like Abraham Merritt, Lovecraft or Conan Doyle. Then archeologists told about their experience of collaborating with authors and comic drawers. Manuel Moliner explained how « Alix à Massalia » was nourished with reconstruction from vestiges and tales of the period, but let the freedom to the drawer to let his imagination give details to complete many empty spaces. 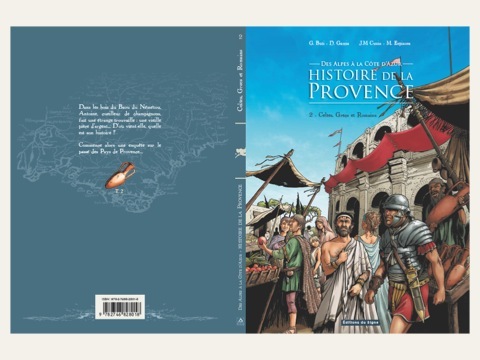 Dominique Garcia showed that his collaboration to « L’histoire de Provence » made him questionning stereotypes about Antiquity : Florentine cypress in temples, Gaullish people with mustache while conceding facts modification for fictional reasons. Gilbert Buti, historian also told about his collaboration experience with JM Cuzin and other searchers to write an “History of Marseille”. Alain Charron, Egyptologist and Gilles Kraemer, journalist, then talked about the Archeology influence on comic books through many examples. Alain Charron noticed that 90% of comic books take place in 2 periods of Ancient Egypt : New kingdom and Cleopatra period. The profession of Archeologist is often glorified to arouse readers dream. 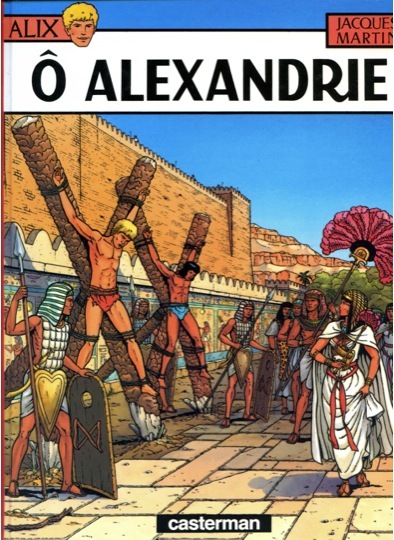 Gilles Kraemer also confessed that comic books were important in his interest for history and archeology. Here is the origin of the character he created « Omar le Chéri », who is journalist carrying out archaeological investigation. 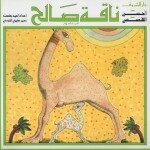 The character was created more than 20 years ago and was used as a symbol to encourage young Egyptian to write articles. Until now, the character is used as a mascot for journalistic writing workshops, in various countries of Mediterranean area. Passion for Egypt is still a great source of inspiration. 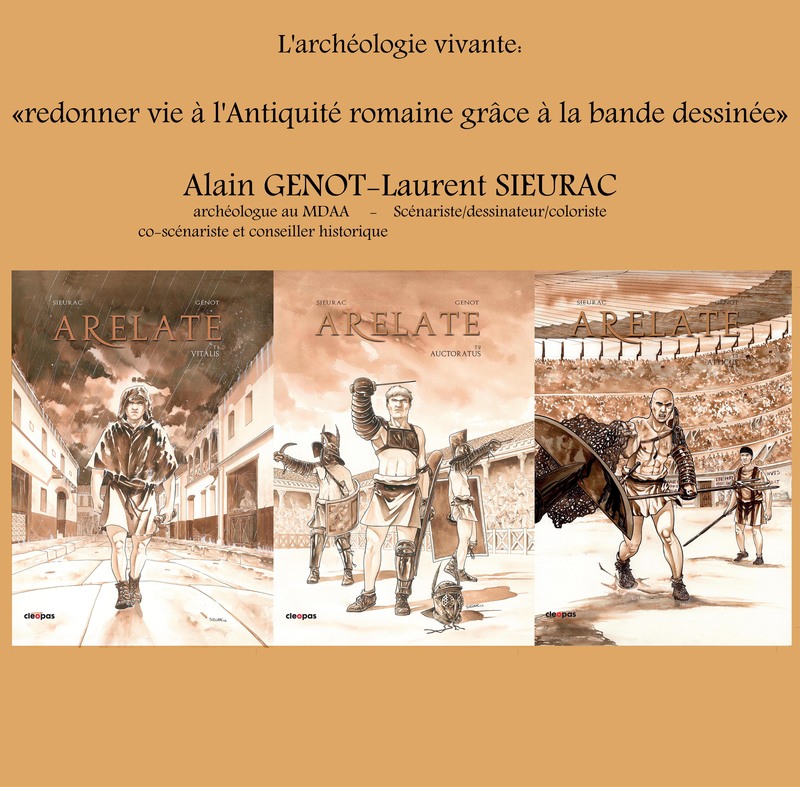 Alain Genot, archeologis in Ancient Arles museum and Laurent Sieurac, drawer and co-writer of “Arelate”, explained that their project was born by analysing the gap between most common images of Ancient Rome (big characters, fighting scenes with gladiators…) and the reality of archeological excavations discovering daily vestiges of common people. They wanted to use objects discovered through excavation to put them in their context, while avoiding the heaviness of educational speeches. Thus, they decided to put an educational file at the end of the book, after fiction. Share the post "Bubbles and excavations"